A charity project set up to help people get personally involved with the stories they see in the news has urged the media to take more responsibility for those it puts under the spotlight. 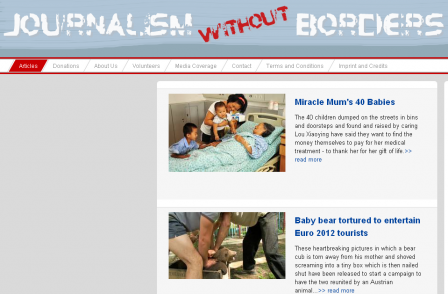 Journalismwithoutborders.com (JWB) was launched in January 2010 and on its website it explains: "The idea … has grown from the frustration many journalists experience in being asked to cover certain stories without being able to help those involved. This frustration is experienced not just by the journalists also by readers who may want to help but have no outlet to do so, media organisations that have calls from readers and can offer no advice … and of course ultimately those for whom we write about who so desperately need help." JWB was created to fill that void, initially to give publishers the opportunity to raise money for those under the media spotlight before it moved on, but later getting involved in a much wider variety of projects. In an article about the launch in the Guardian, Roy Greenslade described JWB as a project "set up to help the people who find themselves still suffering after the reporters have moved on." That philosophy is best exhibited in the story that sparked the project into life when Michael Leidig, then working as a correspondent for the Telegraph, was asked to write the story of a Romanian woman who discovered she had a disabled daughter aged five that she had been told had died at birth. The girl had in fact not died, but instead been dispatched off to an orphanage as part of the Ceausescu's Communist policy of pretending disability didn't exist. The story, originally in the Sunday Telegraph, was picked up around the world and the papers foreign desk started fielding a lot of requests for people who wanted to do something to help. Leidig said: "I was in Romania at the time on another story when I got a call from the foreign desk manager Lucy Wolseley telling me about people that wanted to donate money. "The Telegraph couldn't help as newspapers just aren't set up and can't take the responsibility to collect money directly for the people they write about, and it proved impossible to find a charity especially at short notice to arrange it. 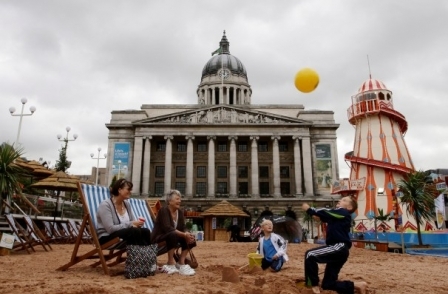 "It was frustrating because the family were already very poor and suddenly they were handed a severely disabled daughter who had seemingly received nothing in the way of care and was severely institutionalised – she needed pretty much round-the-clock attention. "In the end Lucy pulled a lot of strings and somehow managed to cash the money at the Telegraph – she then went out and wired it to me – and I drove across the country to deliver it in person to the family. "What surprised me the most was that when I went back to the family, Ana's mother said that despite the coverage – with dozens of media outlets including TV stations all over the world covering the story – not one had come back with any sort of assistance. "That was when I started to wonder if there was some way to make it simpler – and came up with the idea for journalismwithoutborders.com." But little happened to take it forward until a chance meeting between Leidig, who runs the Vienna-based agency Central European News, and Hannes Urban – an Austrian charity fund-raiser who was voted one of Time magazine's Heroes Of The Year for his fundraising activities. The pair agreed a deal whereby all of the fund-raising and the administration of the money including making sure it went where it was intended would be handled by Urban's Austrian registered charity "We Help" – and all of the editorial would be managed by CEN volunteers. Leidig said: "He doesn't have a clue about what stories would be worth promoting on JWB and has no involvement – whereas we don't get involved with the money side and none of what he raises ever comes over to the editorial side in any form." NAPA, the National Association of Press Agencies, agreed to back the project at its annual general meeting in 2009 and a year later JWB became officially part of "We Help". Since then JWB has handled more than a dozen campaigns with a varying degree of success. Leidig said: "The first few stories we did were to build up the network and we didn't actively campaign – sometimes we pull out all the stops and will only get a couple of euros – other times we make no effort and can raise several thousand. Sometimes we get very few readers on a story but lots of money – sometimes it's the other way round. The story about the man left with metal chains embedded under his skin after eight years in an illegal prison was read by half a million people – but just six people donated. But that was enough for him to have the operation he needed." JWB originally asked newspapers and magazines to provide them with material but in the 2 1/2 years it's been operating they have not had a single submission. Leidig said: "All the campaigns we have done have been based on stories we have covered ourselves. That has since encouraged us to originate material on JWB and some things that were only ever published on JWB ended up going viral, such as a story about the Avatar girl in China that we had offered all around without any takers – but when we put it on JWB it ended up everywhere. "One of our latest campaigns was the most successful," adds Leidig. "Our news editor Kathryn Quinn had spotted a story on the Daily Mail website about a Chinese boy left without any facial features after a fire and read all the comments from readers about how they wanted to help. "Our office in China contacted the boy's family and offered our assistance and then set up a campaign together with the Sun and the Daily Mail which has raised enough to pay for his operations. "Over 2,000 people donated – often amounts of just one or two euros – but it was enough to make a difference." 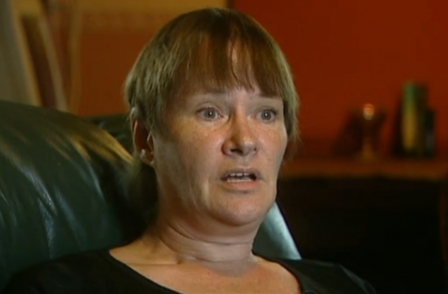 The Daily Mail reporter who first ran the story was the online Health Editor, Clare Bates. She said: "I was amazed by the response from readers online, with lots asking how they could help. "I spoke to my editor and tried to find a link for him online for somewhere for people to go and donate. "But I couldn't find anything and the agency we got the photos from couldn't find the family. "And then I got a call from JWB to say their correspondent in China had contact with the family. "JWB then got involved in the fund-raising which I did a follow up story on and now enough money has been raised so the child can have treatment. "Hopefully, I can do a follow up story to that too, so the donors and readers will know how it worked out. "Often with real life stories the subject already has their own fund-raising charities. And they come to us to promote that. "But in this case there wasn't any until JWB came along. It all came together very organically." Senior Project Coordinator at JWB, Lisa Goertz, said: "The message we're trying to get out there is that if a magazine or newspaper comes across a story where JWB can help they should contact us with it."